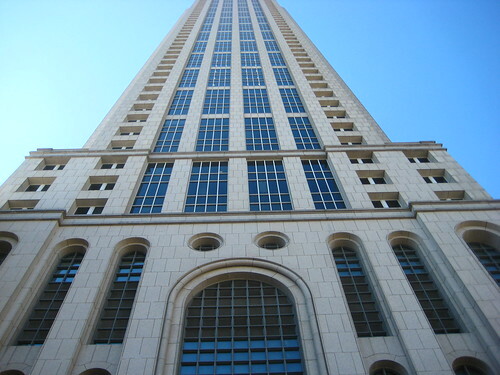 (October 3, 2018) ATLANTA, GA – Winter SPACES, a division of Winter Construction, will begin mobilization this month to renovate common areas at The Tower at Piedmont Center, Building 15, in Buckhead. The work will update about 8,000 square feet, and will add additional access to surrounding walkable amenities via a new pedestrian bridge connecting the building to Old Ivy Road. Piedmont Center is a united, nine-building office campus connecting three diverse workplace neighborhoods — the Commons, the Fountains, and the Tower. The campus offers a natural progression for dynamic start-ups and established professionals to join a progressive workplace that nourishes creative interactions through active social spaces including a bocce ball court and outdoor work areas. Winter SPACES’ work at the Tower will update shared public areas, install a canopy at the building’s entrance, add a glass vestibule in the parking garage, and refresh the lobby. Winter SPACES’ renovation at the Tower will be its fourth project at the Piedmont Center. In prior efforts, SPACES has installed outdoor shade structures at the Fountains, added accessibility ramps, and renovated the courtyard at the Commons. The current renovation is the continuation of a relationship between SPACES and the Ardent Companies, the local ownership team dedicated to unifying Piedmont Center as a newly connected community. Smallwood, Reynolds, Stewart, Stewart is the architect of record for the project. The project is expected to be complete in about five months.